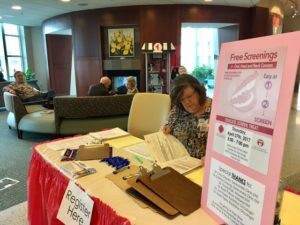 Trinity Jubilee Center, 247 Bates St.
Free Oral Cancer Screening at Trinity Jubilee Center, 247 Bates St., Lewiston, Maine 9 a.m. - noon. No appointment necessary! 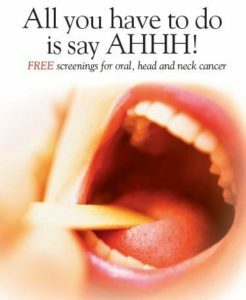 In recognition of Oral Cancer Awareness Month, the Baptist Cancer Institute will provide a free head and neck cancer screening for the public and team members of Baptist Health Care on Thursday from 1:30 to 4:30 p.m., at 1717 North E St., Baptist Tower 3, Suite 239. 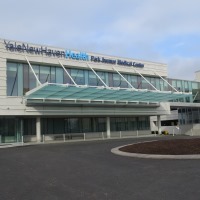 Physicians will check for cancers of the nasal. Join us for this screening at no cost to you. Studies show that oral HPV (human papilloma virus) infection is linked to head and neck cancer even in the absence of two other known risk factors: heavy tobacco and alcohol use. This screening will include a visual inspection of the head, neck, and throat. Anyone.